Hotel Valet Parking and Lot Parking. Every Tuesday, Friday, Saturday live music entertainment. 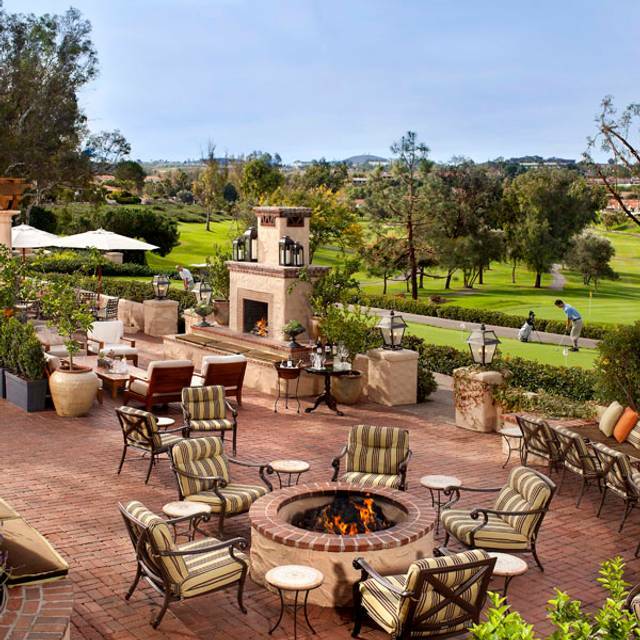 Join us at Veranda Fireside Lounge and listen local artists each week. Inspired by the olive trees, gardens and villas that overlook our 18 hole golf course, making The" Veranda" a place one simply has to experience. 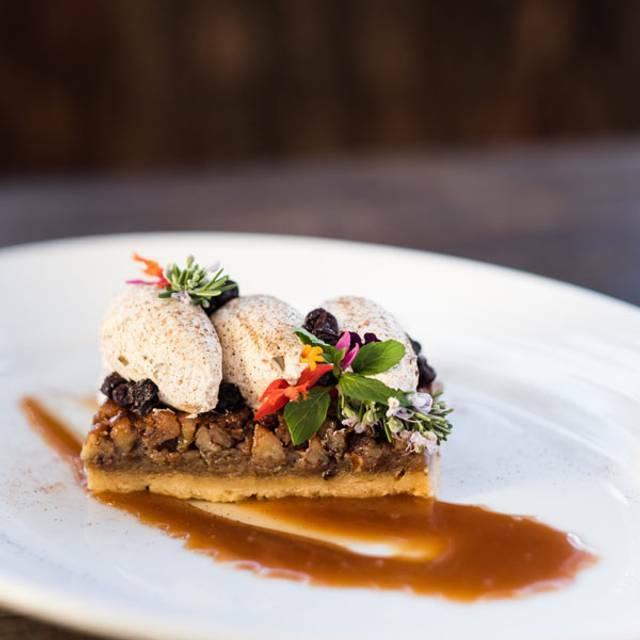 Fresh and modern, Veranda's new menu features California contemporary cuisine. 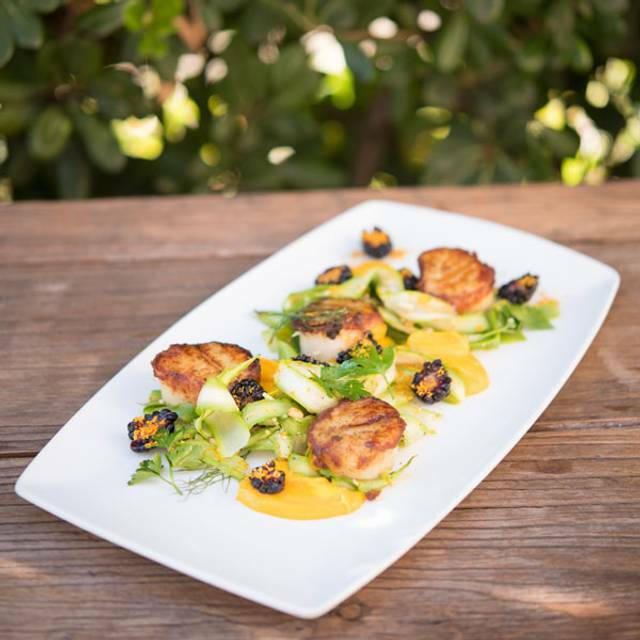 Each dish is carefully constructed by a team of chefs using locally-sourced ingredients and freshly grown herbs from our own garden. 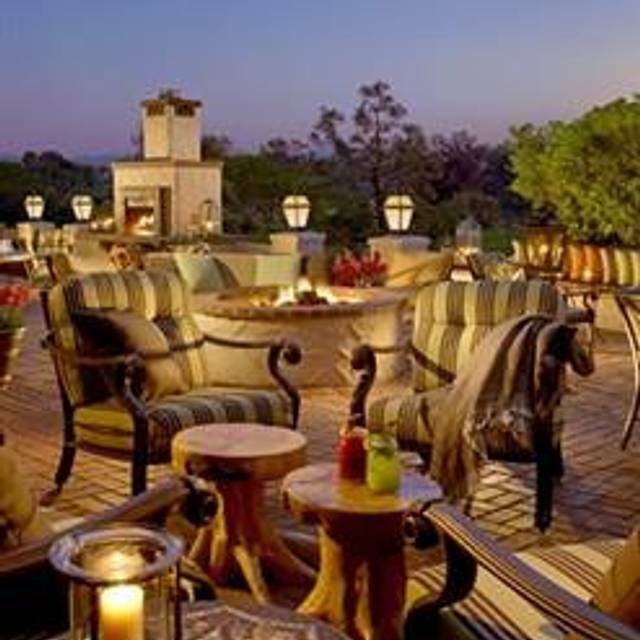 Veranda is the perfect place to meet and enjoy a snack, meal or libation (try our signature bread and Tapenade.....we'll give you the recipe), dine under the stars or gather around the fire with a cocktail or local craft beer . Come and enjoy live entertainment, featuring local artists. You're sure to have an experience to savor. *Gluten free upon request Exclusive of taxes, surcharges, alcohol & gratuity. We support the minimum wage increase approved by San Diego voters and the State legislature. A 4% surcharge has been added to your check and all of us at Veranda Fireside Lounge & Restaurant thank you for supporting us as we strive to offer you exceptional service and extraordinary dining experience. I have been to Veranda twice before for special occasions and was very pleased. This time we were somewhat disappointed. The food was fine but I am not sure if they have cut back on the service or this was just a bad day but it was lacking. Also during our meal a fire alarm went off and was extremely loud. There was no explanation and seemed to go for about 5 minutes which made it very annoying and difficult to converse. We had to call someone over to ask what was going on even though they were not very busy at the time. It finally was turned off but in a very short time went off again though for a much shorter time. We received no apology or compensation for the disruption. I will think carefully before going back. Thank you for your review and taking the time to speak with us about your experience. The valuable feedback you provided has been shared with our team, and we look forward to the opportunity to better demonstrate the personalized service we pride ourselves on upon your return. Great out door patio dining atmosphere with beautiful views of the golf course. Menu is limited and the food is only mediocre. Service is good but not great. Thank you for your comments and for your honest review of the restaurant. I would like to sincerely apologize that the quality of service and food you received on your last visit was not exceptional. This is not by any means the quality or the standard of service we set for our staff to provide our guests with, and for this, we are truly sorry. Your feedback will be shared with our team. We look forward to seeing you back in the very near future! So nice to sit outdoors, overlooking the golf course. Very, very pleasant and relaxing. Salads were fresh, appetizing and delicious tasting. Thank you for sharing your recent dining experience. We are so pleased to hear you enjoyed sitting on the Veranda Patio, and that you found your experience to be enjoyable. We look forward to welcoming you again on your next visit. Ambiance was good but food options were very limited. Would like to see more variety for food including appetizers & main course. Thank you for your feedback. I will share your comments with our team and do hope to see you back again in the very near future. Thank you Mary, it was our pleasure to have you join us at Veranda. We greatly appreciate your patronage and look forward to your next visit! What a great place to enjoy the San Diego weather. I would recommend dining at RB Inn's Veranda Restaurant ONLY if weather permits dining outside. The number of tables indoors is limited. It's impossible to get far enough away from the noise coming from the bar to enable conversation at a comfortable level of speaking/hearing. The menu never seems to change, "specials" are not particularly interesting. The service was adequate. Valet parking is a plus. We appreciate the feedback, and your recommendation for outdoor dining. We will be featuring Live Music 7~Nights a week starting April 1st. We look forward to welcoming you back! Darling place inside the Rancho Bernardo Inn. Great food, great service and a lovely view of the golf course. I recommend dining on the patio. Thank you so much for the Five Star Rating & the endorsement! We will be featuring Live Music on our patio 7~Nights a week starting April 1st. We hope to see you back very soon! This is a favorite place for lunch in the San Diego area. We usually sit on the patio, which is very comfortable year round, but this time we sat inside. It was quiet and the service was great. I just cannot get enough of their fresh bread and olive tapanade! On behalf of Chef Ken Rollins and the rest of our team, thank you very much for the 5-Star review and for sharing your feedback here on Open Table. 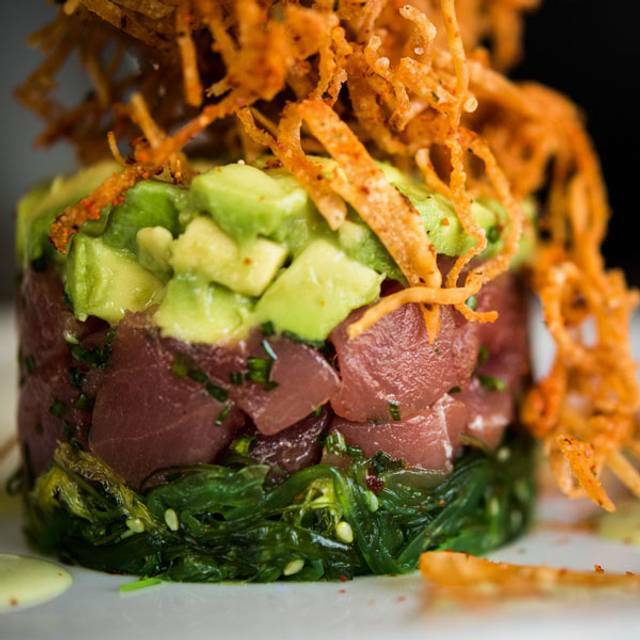 We know you have many choices of wonderful restaurants here in San Diego, we are delighted you chose to dine with us. 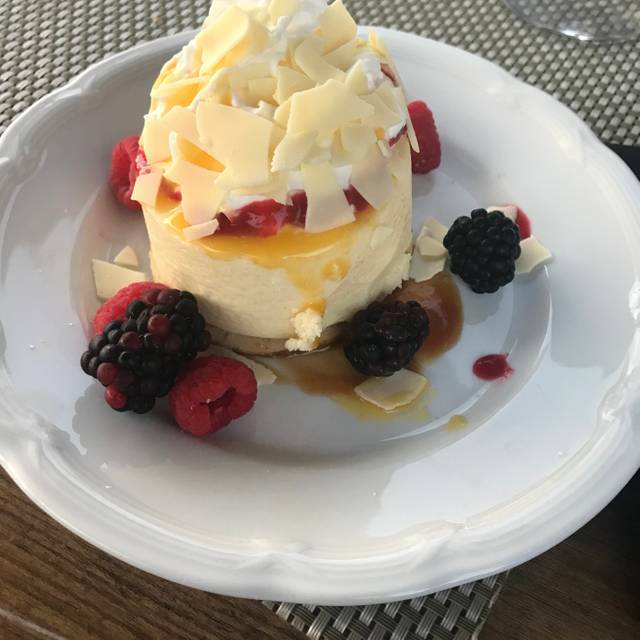 The Veranda has been our "go to" spot for years--love eating great food outdoors--and a view of the golf course to match the quality of the food! Thank you for sharing your recent dining experience. We are so pleased to hear the service, cuisine and setting all exceeded your expectations. Starting in April, we will be featuring Live Music seven nights a week on the patio. We look forward to welcoming you back again in the very near future. This restaurant has never failed to provide us with a great time! Thank you for taking the time to share your recent dining experience. We are delighted to see that you rated us so highly! We appreciate your patronage and look forward to your next visit. Ambiance is no doubt exceptional. Food, drinks and service I would give it 2- 3 stars. We came here for drinks and live music. It was a let down. The food was okay, and of course the price came with the ambiance. We ended up going to Philly’s bbq down the street for more satisfying food and better drinks. Thank you for your feedback and for your honest review of the restaurant. We would like to extend our deepest apologies to you and your guests for not providing you with a Five Star experience. This does not reflect the high quality of service we strive to provide each and every guest with, and we sincerely apologize for your disappointment. Your feedback has been shared with our management team. Always enjoy time spent at the Inn. So inviting, charming and enjoyable. lovely casual setting. We had good service and they were very accomodating. The only suggestion I can make is to improve the salad dressings. They tasted like they were out of a bottle and not very good. I would expect homemade dressings. The food was good, however, the room was very cold. The waiter brought over a blanket for one of my friends. Thank you for taking the time to share your ratings. Please accept our sincere apologies that the room was not at a comfortable temperature when you arrived. I am happy to see that our staff responded to the needs of your guest with a blanket. We hope to have the opportunity to welcome you back soon. Pleasant outdoor option in very tranquil setting! While at lunch Red Tail Hawk rested on fence on the patio separated from the restaurant by 75-100ft. Allows one to forget issues of the day. Thank you for sharing your five star rating on Veranda. We appreciate you dining with us and look forward to your next visit. Very disappointing in terms of value. Lunch salad selection was $15 without any protein, but to add shrimp or salmon it was an additional $12, which is absurd. Went for the Restaurant Week specials instead. Cup of lobster bisque was excellent and generous, but the squash salad was nothing but greens with a few pieces of squash and grapefruit. No bread was offered, which would have helped. The golf course location and nice view does not justify the poor value regarding the salads. Hello Connie, We appreciate your comments on the food and take it to heart as well as the pricing. 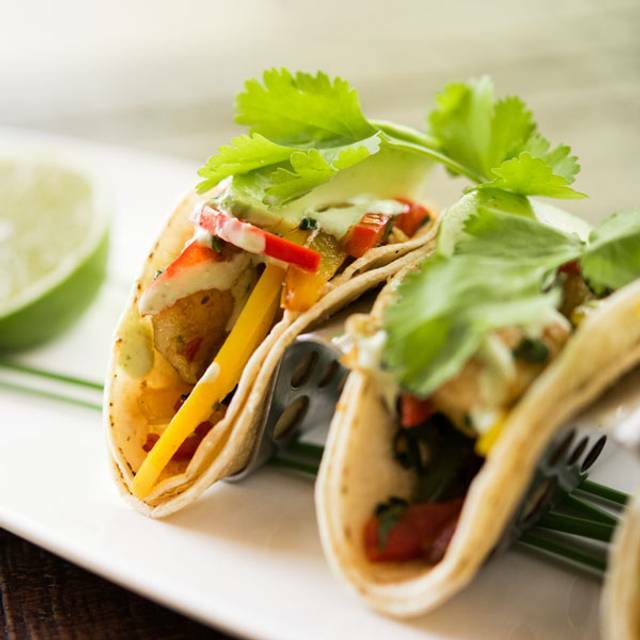 We pay special attention to ensure we are priced to comparable restaurants in the area. We will continue to research this to provide excellent value. Thank you once again for your time and we hope to see you in the near future. Very nice view of the golf course and friendly staff that addresses you by your last name, but not sure if it was because of Open table reservation. Went for SD restaurant week and had the 2 course lunch. The Lobster bisque was flavorful, but would have been nice with a few little pieces of lobster in it. The prosciutto wrapped chicken, was a bit dry, but flavorful. Would suggest adding some pine nuts in the center to give a little crunch with the cheese. Wine selection by the glass was good, but a bit high priced. Would be good for business lunch or just unwinding. First time at Veranda. 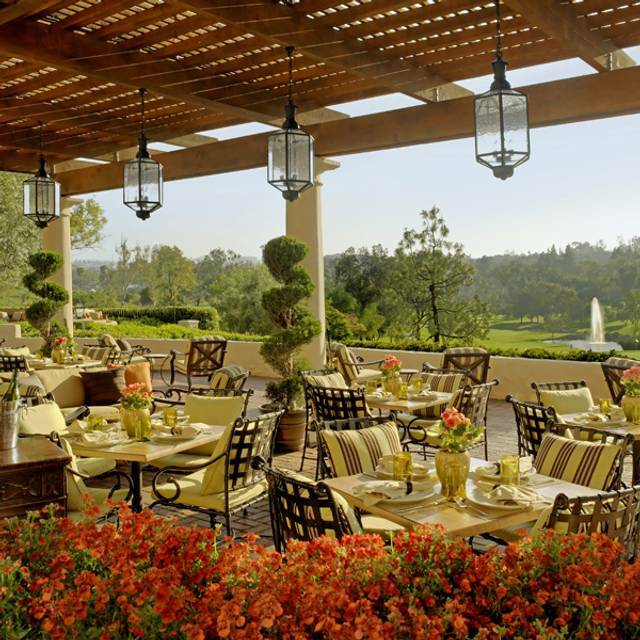 The restaurant is a little more causal then the other restaurant at the Rancho Bernardo Inn. The meals were very good. Service was great, fast and accurate. We would go back again. Service was subpar. After being seated and ordering our champagne, we had to call over the waiter to place our order after a 20 min. wait. After getting our order our waiter didn’t come back and check on us but one time and we were ther over an hour. Didn’t ask if wanted dessert. Thank you for your honest feedback regarding your recent dining experience. We would like to express our gratitude for your patronage, and extend our sincerest apologies for the poor quality of service you received during your last visit. Our guests are our top priority, and we strive to provide the highest quality of service and cuisine to each person who dines at our establishment. Your feedback has been shared with our team, we appreciate you taking the time to rate your experience. . Thank you for taking the time to provide your feedback. I hope you will accept our sincere apologies. It is unfortunate that your service and timing was not on point. I will further research your comments and share them with the restaurant team. We hope to have the opportunity to welcome you back soon. Wednesday night/prime rib night was the choice for a surprize birthday dinner. The meat was very good and cooked to our specific likeness. Presentation on a pile of mash potatoes and 2 very small carrot sticks was unimpressive. The salmon/mashed potatoes presented to one adult was visually and tastefully unacceptable. The salmon was gray and tasted "outdated".. inedible. It was returned for a prime rib substitute. Frankly, I and my family were amazed this salmon dish got past inspection (visual and taste) from the kitchen. Salads and dessert were outstanding. Service by Vickie was above outstanding. She was gracious, fun and accomodating. This was my first experience indoors. Previously I have had lovely lunches on the outdoor patio. Hello CarolynG, We are sorry to hear that you did not enjoy your entire dining experience at Veranda. We pride ourselves on having excellent food and service, but it sounds like we did not consistently deliver this during your visit. I will share your feedback with our culinary and service team. We apologize and hope that you’ll give us another chance to wow you next time you’re in town. Thank you! Cold night lots of heaters,so few with gas or functioning! Move inside to dealing roar of people sitting right next to each other screaming as part of normal conversation, I guess? Hello Harry, please accept my sincere apologies that we were unable to make you comfortable when you were last here. We have recently increased our par on heaters. I hope you will be back soon to enjoy the beautiful Veranda Patio. Beautiful view of golf course. Loved the fire pit. The server was very rude and condescending. When I asked for a manager she argued with me. The wait time is very long to get seated even with a reservation. They didn’t even acknowledge us for 20 minutes and did not apologize. Food is great atmosphere is great but the service is horrible. Thank you for your comments and review of the restaurant. We appreciate your time and feedback. I was able to research the concerns you had and did speak with the staff member and manager that assisted you that night . We would like to sincerely apologize for any dissatisfaction that you may have experienced. We do hope to have another opportunity to serve you and your family in the near future! The food was excellent! I don't eat red meat usually and I had ribeye and it was so good. Hello Paula, We definitely appreciate your patronage and great endorsement. We look forward to your next visit. Happy Holidays!! A favorite place for lunch on a beautiful day! Food is delicious. Thank you for taking the time to provide your feedback, which I will be sure to share with the restaurant team. We hope to have the opportunity to welcome you back soon. Excellent food and service. Outdoor seating exceptional for lunch especially! This was the perfect place to have a friend’s birthday lunch. Everyone found something they really liked on the menu. Sitting outside on a cool sunny day was blissful. Our server was attentive & knowledgeable. The birthday dessert they presented to my friend was outstanding. Thank you for taking the time to tell us about your recent dining experience. We are delighted to hear you and your guests enjoyed the cuisine and the atmosphere. We appreciate your feedback and look forward to your next visit. We met with friends we haven't seen in a year. Vicky was our server, and she is brilliant! Great service and great attitude. She made our time there even better. Awesome fairway views and great brunch! Thank you for your endorsement. Happy Holidays! 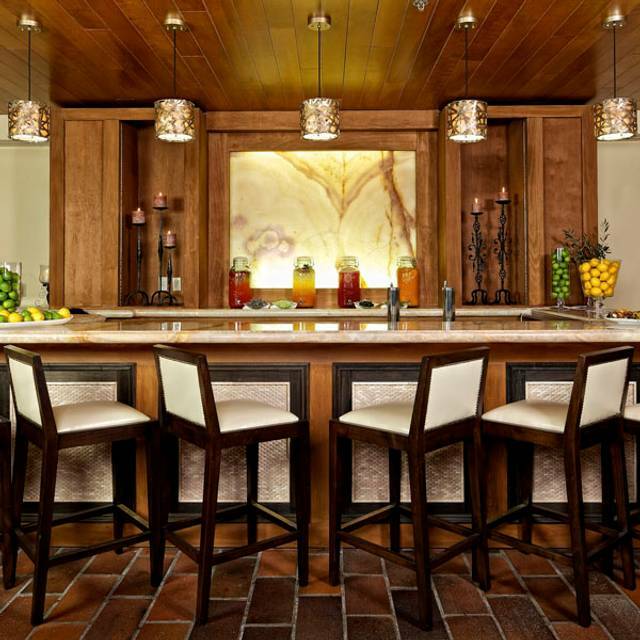 The ambiance is always great at the Veranda Fireside Restaurant. It was a bit cool to sit outside the day we were there, but the inside tables are also nice. We love to go here with friends for a quiet lunch and good conversation. The service is excellent and the food is great. Hello Beverly, We do offer both a Grilled Filet Mignon and a Rib Eye Steak on our dinner menu. I am wondering if perhaps you inadvertently received a copy of our lunch menu. Either way, it does appear that we could have certainly worked harder to satisfy you and ensure a positive dining experience. Please accept our sincere apologies for your dissatisfaction. I hope you will come back and try Veranda again! I am so sorry that you had a less than satisfying experience with us. We take allergy concerns very seriously and will do anything within our power to make sure that you are satisfied and safe with your selections! If it would help, please feel free to call ahead, ask for one of the restaurant managers and let us know exactly what you need. We will definitely take the time and give our undivided attention to ensure that your next visit is sensational! OK or lunch, patio is great. Nice outdoor patio. Great place to go for lunch. Very peaceful location. Service and food are good too. Thank you for sharing your five star rating on Veranda. It is definitely the sincerity of warmth of our staff that gives us the ability to continually exceed the expectations of our guests. We appreciate you dining with us and look forward to your next visit! I took a date here and it was great experience. The atmosphere was romantic the table outside spaced far enough apart for privacy. They bring out heaters if you need at your table. The service was great and so was the food. They also had live music from 2 talented musicians. All in all it was a great experience. Thank you for sharing your recent dining experience. We are so pleased to hear the service, cuisine and setting all exceeded your expectations. We look forward to welcoming you back again in the very near future.